There is a new and exciting showroom located at the south end of the beautiful Classen Curve in Oklahoma City. Actually, Winter House Interiors is not new to Oklahoma City. 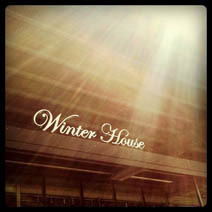 Winter House Interiors has been operating in the OKC Metro area for over 20 years. The new prominent location boasts a new, brighter appearance and is packed with a lot of energy. The Classen Curve showroom occupies approximately 10,000 square feet in a stand-alone building. The former location in Northpark Mall was just under 6,700 square feet. As time goes by, trends change. The decision to move to Classen Curve was not one taken lightly by CEO and Interior Designer Steven Winters. However, it was a choice that he felt necessary to make in order to remain a top competitor in today’s ever-changing and exciting marketplace. Every day brings a new challenge, according to Winters. Operating both a retail showroom and a design-by-appointment business keeps Steven on his toes. Not to mention Carwin’s Shave Shop, a little side-line business which is growing by leaps and bounds. Carwin’s is a men’s grooming boutique focusing on shaving implements and men’s skin care. They also carry a large stock of men’s accessories. For over 20 years Winter House Interiors has grown and continues to evolve in the ever-changing marketplace. With the aid of continuing education, seminars, and social media, Steven and his employees keep up with the latest trends and design techniques, remaining innovative in their field. No job is too small or too big for Steven and his qualified staff. Steven grew up surrounded by homebuilding and interior design businesses. He has an extensive background in building, fabric, and wall covering industries. Steven is a registered interior designer and Winter House Interiors is a registered interior design firm in the state of Oklahoma. The relocation to Classen Curve is part of a larger plan for Winter House Interiors. They are reinventing themselves to better serve their clients. A larger, brighter showroom with larger spaces allows for better organization and shopping experiences. With more space, they are able to expand their offerings and carry a better mix of product styles and lines. Steven and his staff invite you to come in and see what the “new” Winter House Interiors is all about. They are located at 5701 Classen Boulevard in Classen Curve.